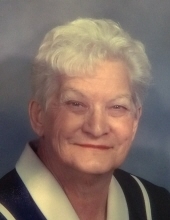 Audrey J. Carter, age 90, of Whiting, formerly of Venice, Florida passed away Wednesday, February 6, 2019. She is survived by her children: Gail Kirin (Thomas), Patricia Whiting (John), and Kenneth Wall (Kim), nine grandchildren and seven great-grandchildren. She is preceded in death by her husband, Thomas Carter. Friends are invited to visit with the family on Saturday, February 9, 2019 from 2:00-6:00 P.M. at Burns-Kish Funeral Home and Crematory 8415 Calumet Ave., Munster, IN. A prayer service will be held at 5:30 P.M., cremation to follow. Audrey and her husband, Tom, retired to Venice, Florida to enjoy life with her twin sister where she attended the First Baptist Church of Venice. She worked as a secretary and sang in the choir, performing in many passion plays. Audrey also loved her game shows, crossword puzzles, and reading. In lieu of flowers, donations in Audrey’s name can be made to the Hospice of the Calumet Area, Inc.
To send flowers or a remembrance gift to the family of Audrey J. Carter, please visit our Tribute Store. "Email Address" would like to share the life celebration of Audrey J. Carter. Click on the "link" to go to share a favorite memory or leave a condolence message for the family.